Some of you may remember. The week before I left for my June quilt retreat I received an e-mail asking when the picture of “Gift Wrapped” would be available. 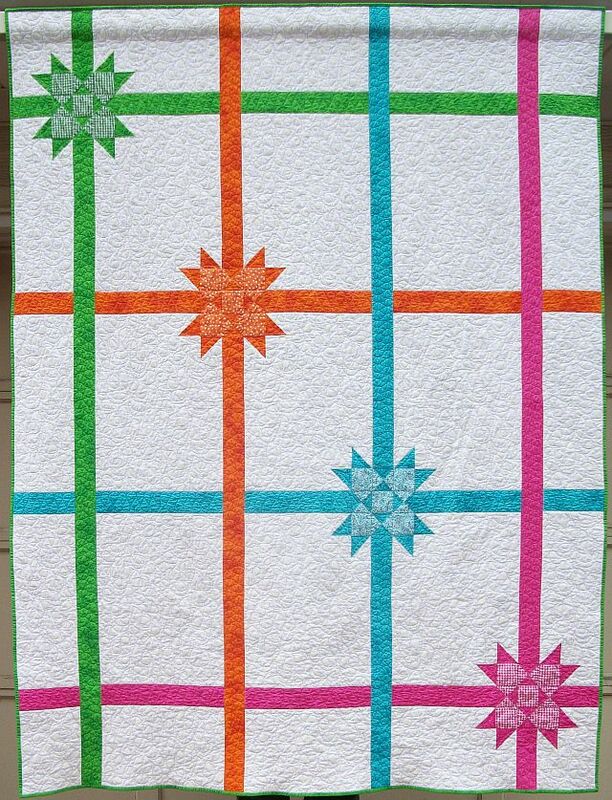 My first thought was “Huh?” Then I dug through my e-mails and realized that in January I had committed to making this quilt but I couldn’t start working on it until “spring”. A mad dash to Hobby Lobby for fabrics, a weekend of intensive piecing, another week to get it quilted and I finished Gift Wrapped. The pattern is in this month’s issue of The Quilt Pattern Magazine. 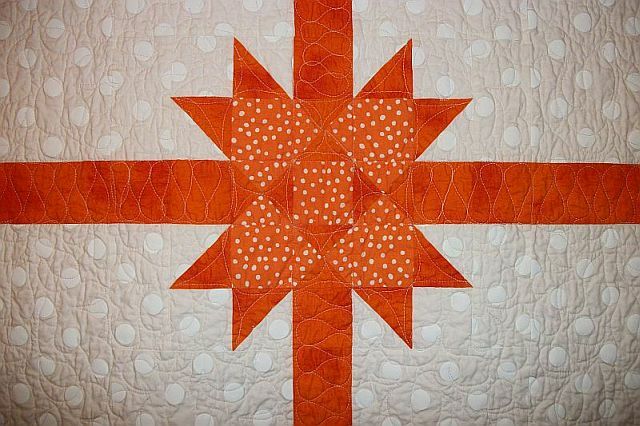 Also in the magazine this is the 2nd part of Cardinal Points, a mystery quilt in 6 parts.